Some of us are natural warriors. Through our experiences and temperament, it is ingrained into our very fiber to fight when faced with adversity. Others choose to retreat...bury the feeling and run. Interestingly, these responses even mimic the physiologic design our Elohim created in us, known as “fight or flight.” Thus, whether it is a learned belief system or an involuntary response, when faced with fear we tend to either fight or run. However, The LORD has told us repeatedly to fear not...and fearlessness is achievable only if we are dependent upon Him. For those who fight, we have to remember The LORD is the mightiest of warriors. We think we’ve made it through some “stuff” and pride ourselves on being a strong person. But, this in itself is a weakness and a struggle. Self-reliance is not trusting God, and it prevents Him from pouring His fullness into us. HIS power is made perfect in our weakness. HE is the source of our strength. We are only conquerors through Christ! When we are dependent on God, Christ’s power will rest upon us. Living in self-reliance-warrior-mode is exhausting because we are fighting a battle we cannot win alone. The war, the battle, and the victory is His! Likewise, if we tend to bury and retreat, we never face the very things we are afraid of...so we continue to run. Nothing ever gets fully resolved. In essence, we never process through anything with Jesus, never receive healing, and never fully experience Grace. We should instead run to our Strong Tower of Strength, seek His refuge, and allow Him to cover us with His wing. We must retreat into His presence, not into ourselves, or (especially) into our own thinking. If we are not willing to confront issues with Jesus, like the “fighter,” we are self-reliant in carrying our burdens. We grow weary, exhausted, and debilitated as the weight accumulates. We become a prisoner in our own mind and never experience peace. The task is to take His yoke, hold our thoughts captive in Christ, and invite Him in to repair the wounds we have neglected due to fear. Rejoice, for Jesus is the Prince of peace! When we are faced with fear, we must remember chaos, doubt, fear, and uncertainty are not fruits of the Spirit and NOT from our mighty LORD! He has repeatedly reminded us not be afraid and that He is near to His precious children. Jesus paid a high price to afford us deliverance and reconciliation to The Father...that we might seek refuge, experience His Grace, and rest in Him. Be strong, but in the power of The LORD’s might. Be a soldier, but in The Name of Jesus! Retreat for rest in Jesus...and run into the arms of The God Of All Comfort. Open your heart for healing by The True Physician. Surrender your thoughts to The Counselor On High. Exchange your self-reliance for His yoke. Draw near to God..allow His perfect love to cast out your fear...and experience peace that surpasses all understanding. The Lord is a warrior; the Lord is his name. Peace I leave with you; My peace I give to you. I do not give to you as the world gives. Do not let your hearts be troubled; do not be afraid. I have told you these things so that in Me you may have peace. In the world you will have tribulation. But take courage; I have overcome the world! Do not fear, for I am with you; Do not anxiously look about you, for I am your God. I will strengthen you, surely I will help you, Surely I will uphold you with My righteous right hand. The LORD is the one who goes ahead of you; He will be with you. 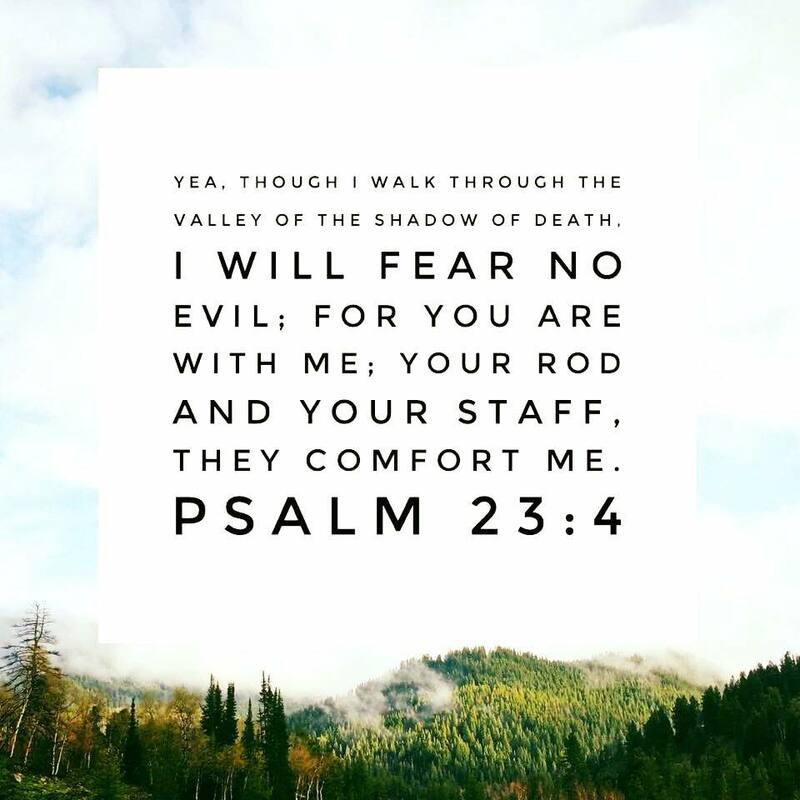 He will not fail you or forsake you. Do not fear or be dismayed.